Slice zucchini into a bowl. Add olive oil to coat the zucchini and sprinkle salt and black pepper. 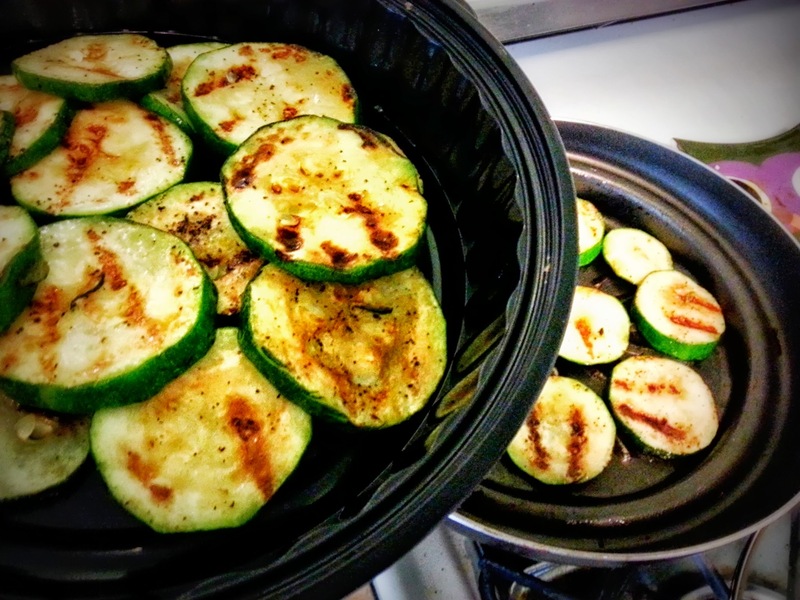 Arrange zucchini on a grill pan over medium heat. Grill until zucchini is tender as seen in picture. 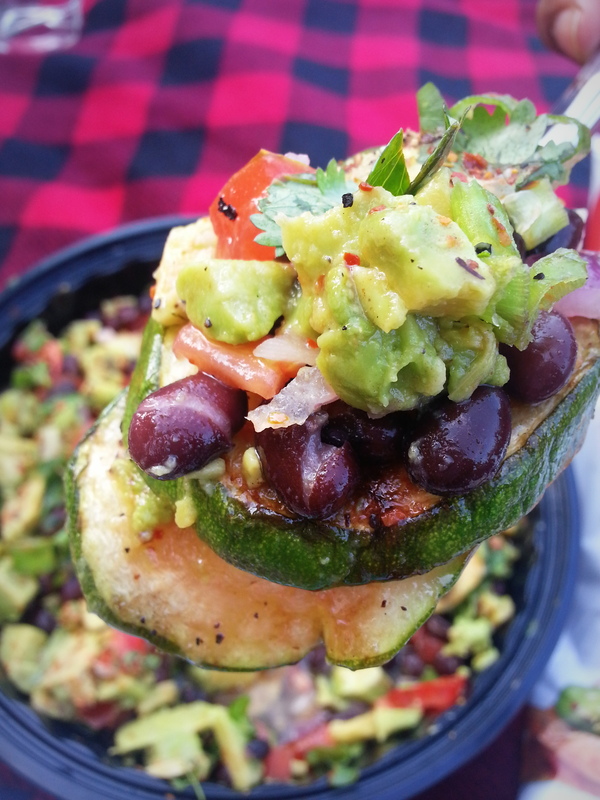 Remove zucchini from grill and place two layers on a platter or flat container to take for a picnic. 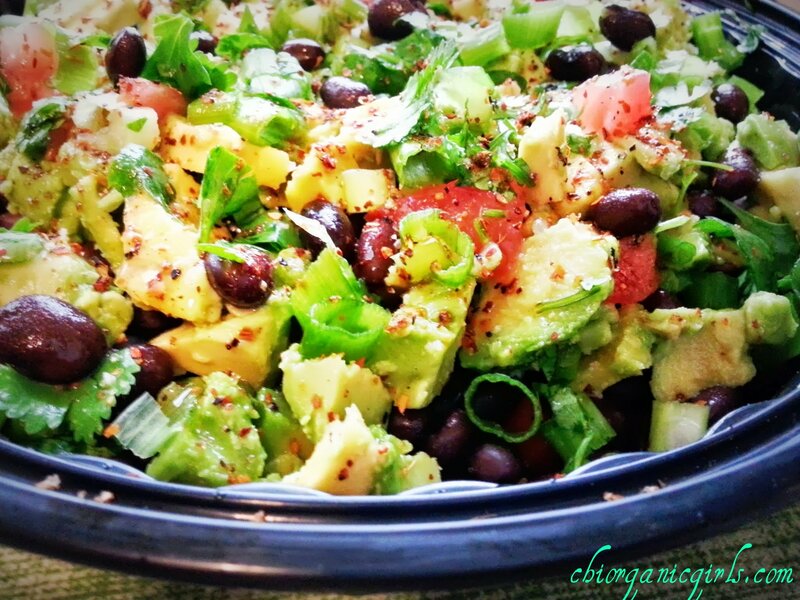 Top with black beans, tomatoes, red onions, avocado, green onion, cilantro, sprinkle garlic, sea salt, black pepper and squeeze fresh lime juice. Recipe will feed about 6 people. Wondering what other picnic goodies the gals will bring to the blanket? 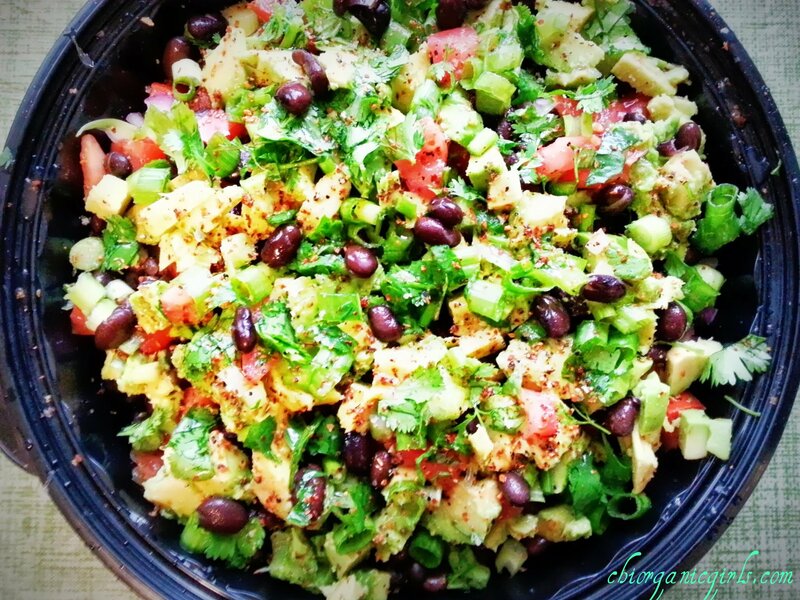 Coming after the intermission: Fiesta Quinoa!